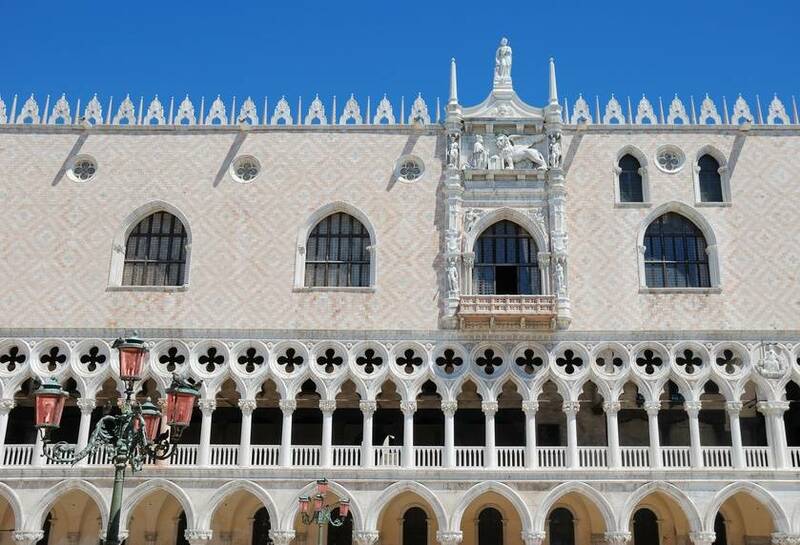 The Doge's Palace guided tour (skip the line) and entrance ticket to old Royal Palace! 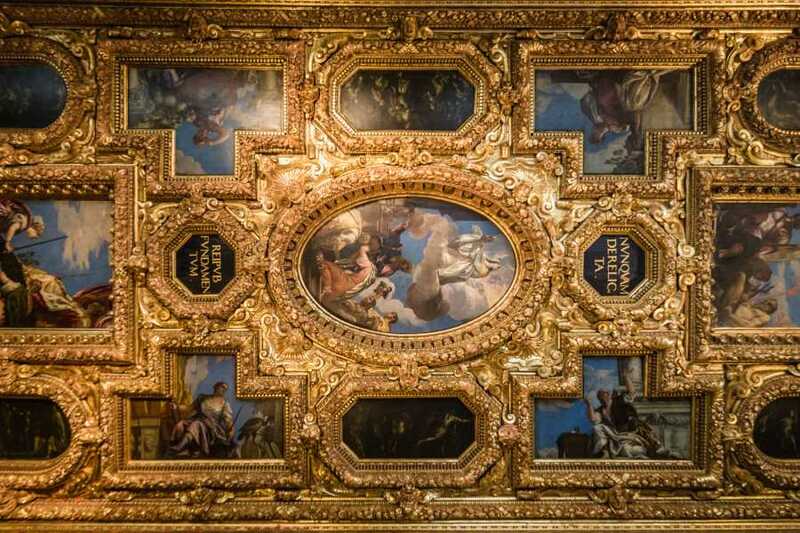 Ticket valid for visiting by yourself the palaces around St. Mark’s Square (Museo Correr, Museo Archeologico Nazionale and Monumental Rooms of the Biblioteca Nazionale Marciana). The Palazzo Ducale represented for centuries the seat of the Venetian political power. 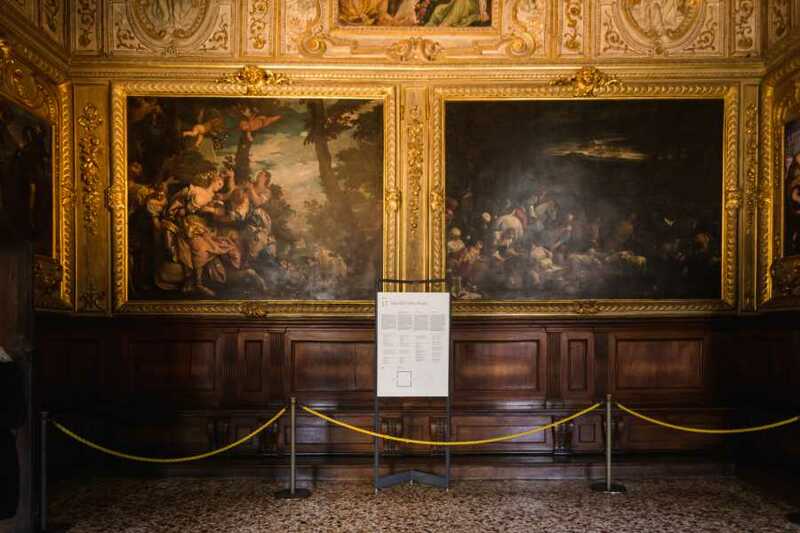 In his splendid rooms, plastered and immersed in hundreds of masterpieces of painting, the Duke and his Council controlled the fate of a thousand-year history republic. 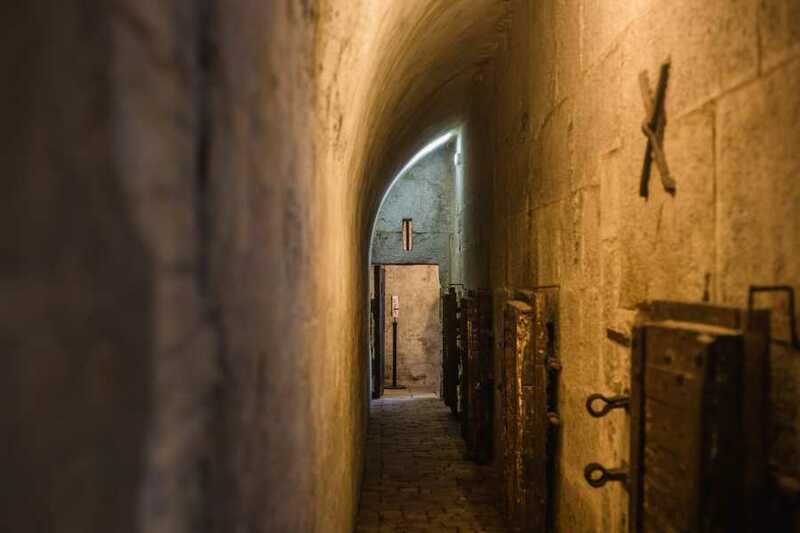 You’ll live it together with a Guide that will show you the halls of power, plunging you in a very particular historical context: the European Middle Ages and the immediately following centuries. 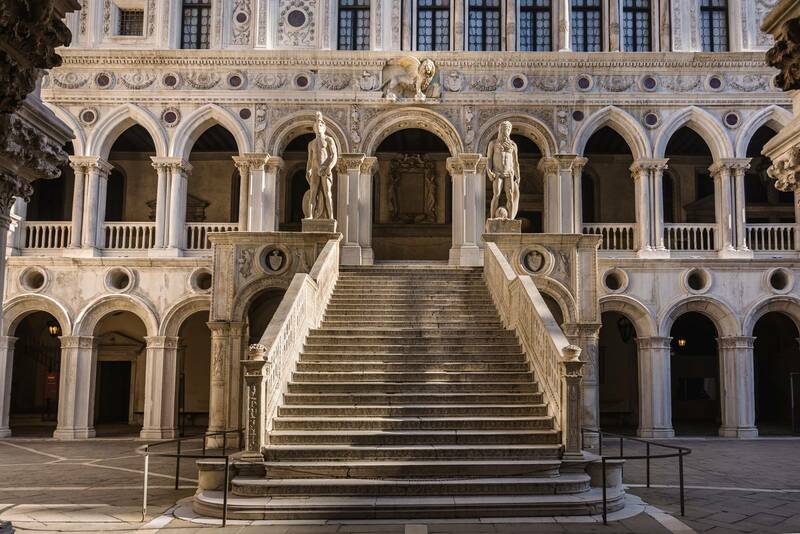 You’ll be surprised of the rich details of the gold staircase of the realism of the scenes depicted by many artists who have decorated this building, you will relive the anguish of the prisoners crossing the famous Bridge of Sighs, and entering the Venetian prisons, famous for hosting Giacomo Casanova. An unforgettable tour not to be missed! 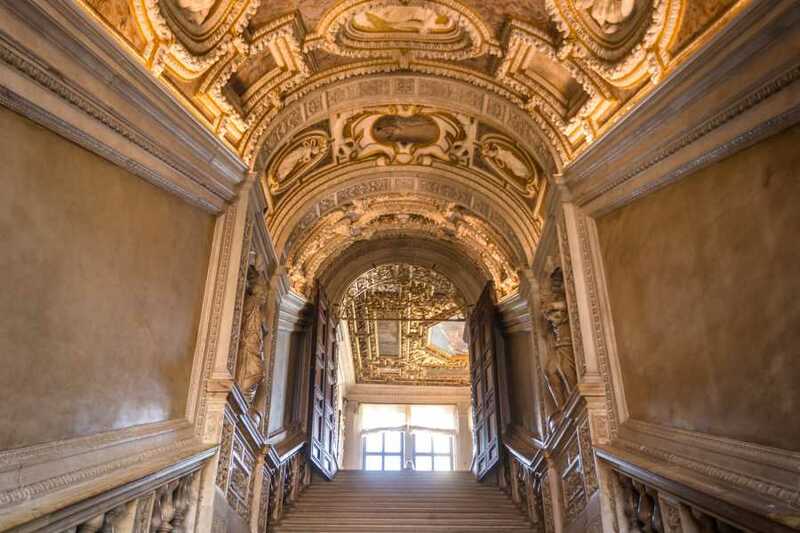 The ticket for the Palace is included in the tour price and will allow you to entry without waiting. 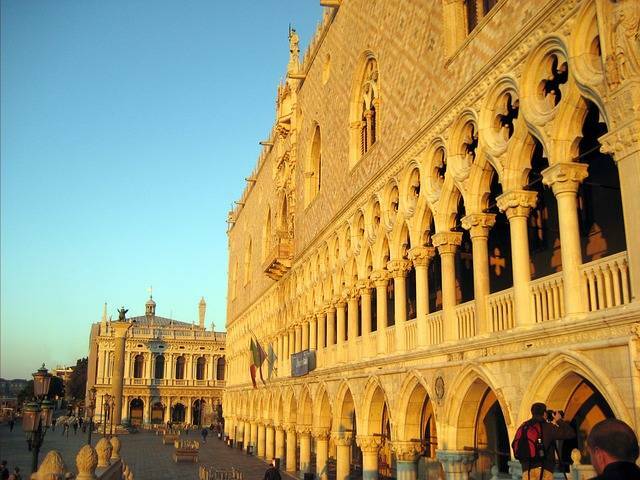 You may visit by yourself the other magnificent palaces around St. Mark’s Square under the name of Procuratie with the same ticket. 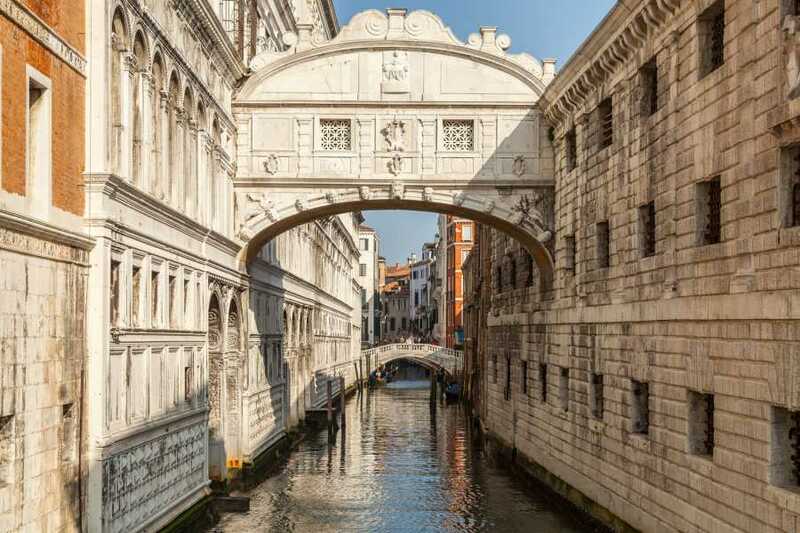 You will discover the way of life of the venetians, with paintings, library, coinage, sculpture. You will be entered in the secrets of Venice Empire, with description of Arsenale who produced the famous battleship Galea. You will visit the area built by Napoleon and the rooms restored for Sissi Empress Austria. Entrance ticket valid to visit yourself the palaces around St. Mark’s Square (Museo Correr, Museo Archeologico Nazionale and Monumental Rooms of the Biblioteca Nazionale Marciana). 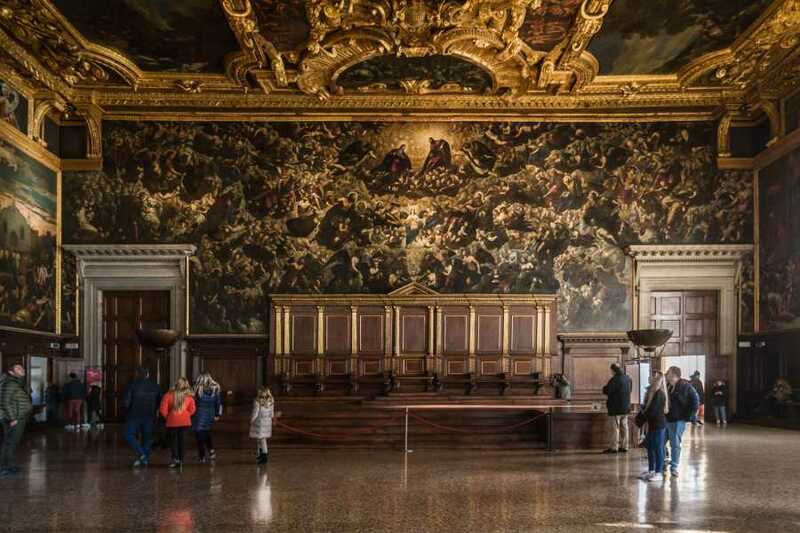 At the end of your activity you will have the opportunity to do the free optional tour the Glass Craftsman Demonstration visiting a Glass Factory very close to Saint Mark's square (20 minutes tour). Please follow the instruction that our staff will provide to you locally. Availability & operation: From 1st April 2018 to 31st March 2020. The tour does not operate 25th December - 1st January - 16th, 23th February and in case of exceptional high tide. On the 25th April the afternoon tour does not take place. Departure and meeting: every day at 10:45 AM. Please, be at the meeting point 15 minutes before the departure time. Only from April to October also at 2:15 PM (only English). Duration: 1 hour (20 minutes more for the Glass craftsman at work in St. Mark's Square). It ends at 1:00 PM. Languages: the visit is monolingual: from April to October: English, French, Spanish and German every day - Italian only on Saturday. Afternoon tour only in English. From November to March: English every day - German on Monday and Friday - French on Tuesday, Thursday and Saturday - Spanish on Wednesday, Saturday and Sunday. Cancellation: bookings can be cancelled with no charge up to 24 hours before the service. Tours does not operate in case of exceptional high tide (in these cases it can be postponed to the day after otherwise it will be refunded). Unfortunately, this tour is not fully accessible for wheelchair users or people with walking disabilities. The tour does not operate in case of exceptional high tide (in these cases it can be postponed the day after otherwise it will be refunded). Take line #1 and get off at “San Marco Vallaresso” stop or line #2 and get off at “San Marco Giardinetti” stop. 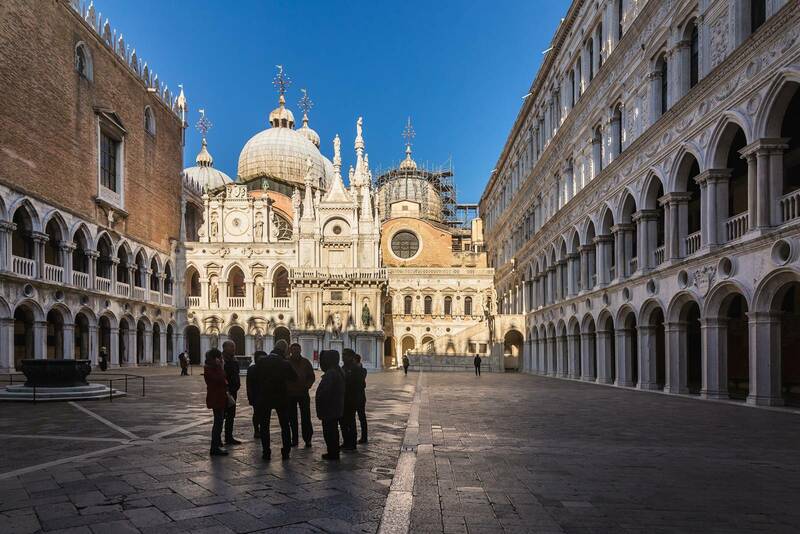 Once you get off the vaporetto, turn right and go straight on to the two columns, then turn left and reach Saint Mark’s Square. Once by the Bell Tower, go straight on leaving the Basilica on your right and you find the assistant waiting for you with the signboard TOUR under the Clock Tower. 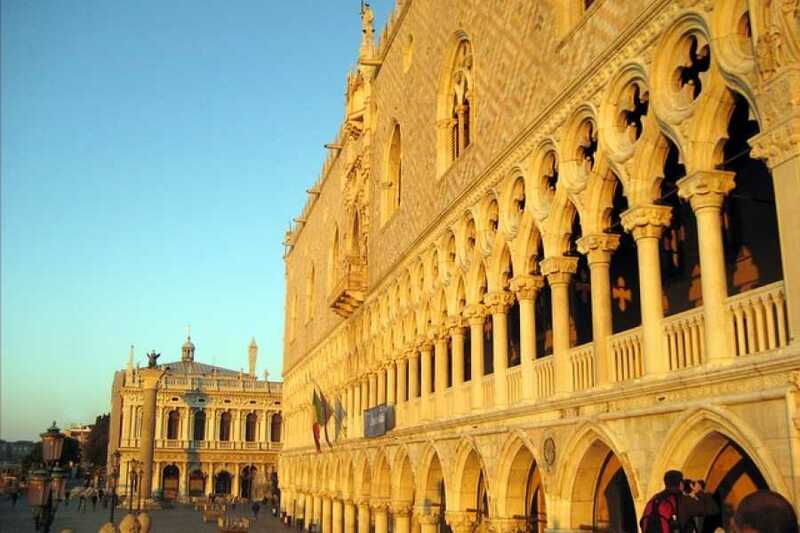 The Clock Tower is located in Saint Mark’s Square. Once by the Bell Tower, go straight on leaving the Basilica on your right and you will find the assistant waiting for you with the signboard TOUR under the Clock Tower.